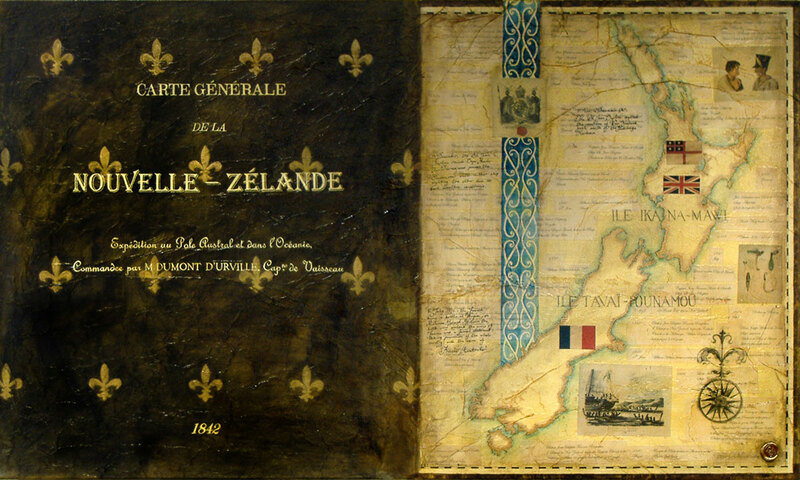 Map: The title and some of the information on the original map is what is written on the left hand side of the painting including the date it was created. 1) United Tribes of New Zealand. Kowhaiwhai Design: Patiki or flounder:s ymbol of hospitality from the Pare Hauraki area.